Bed sheets can be a big contributing factor to how well you sleep. And a good night’s sleep is a heavy contributor to how you feel and how productive you are the following day. A bad night’s rest will most likely result in you being cranky all day long. If you have a good night’s sleep, odds are you'll wake up on your A-game and be super productive the next day. Getting a good night’s sleep is not just about the mattress you sleep on; your sheets have a lot to do with that as well. There are many different types of sheets that you can choose from. Bamboo sheets are among the best that you can choose from. They have countless benefits and can help you have the best night’s sleep ever on your current mattress. If you are unfamiliar with bamboo sheets, that is why we are here. Here you can find our top 10 best bamboo sheets, as well as what to look for before purchasing. After using uncomfortable sheets for far too long...Here are the Best Bamboo Sheets to choose from. In the chart below, you will find our top 10 rated Best Bamboo Sheets. For a more in-depth review of each model, please click on "Read Review." After using uncomfortable sheets for far too long....Here are the Best Bamboo Sheets to choose from. Bamboo sheets are pretty self-explanatory. Like cotton bedding sheets are made from the fibers of cotton, bamboo sheets are made from the fibers of bamboo. Bamboo fibers comes from the type of bamboo that is most like timber. The manufacturing process of the fibers varies based on the desired fabric. In general, after the plant is harvested, it is taken to a facility where it is crushed and immersed in a liquid mixture, typically consisting of sodium hydroxide. During this process, the bamboo cellulose is dissolved. Then,carbon disulfide is added to the solution, which allows the fibers to regenerate and be taken off of the plant. Once the bamboo fibers are taken from the plant, they are bleached, dried, and ready to be made into the best bamboo sheets. There are two different ways of processing the bamboo. Each of these processes also produces different types of the best bamboo sheets, which we will go over later. The most common way is using a chemical process. This converts the natural fiber into a less natural fiber because of the chemicals used. The two types of bamboo fabrics created using the chemical process are bamboo rayon,and bamboo lyocell. 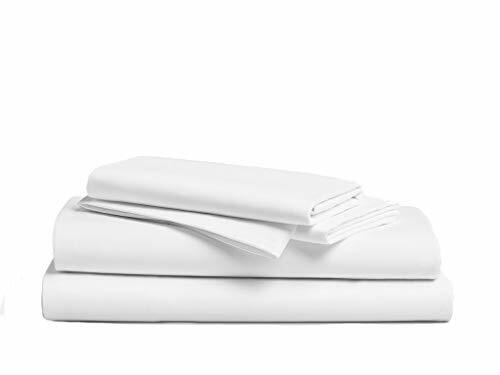 Bamboo sheet sets made from rayon results in a more synthetic fiber than lyocell. The second bamboo fiber process is a mechanical process. This is considered more green and eco-friendly. It involves a combination of both a machine and natural enzymes that creates a yarn. The type of bamboo fabric created from the machine process is bamboo linen. This bamboo linen is in fact 100% bamboo as a result of the mechanical process. As mentioned before, there are various different types of bamboo fabric. Each is a result from a different type of processing, which was gone over already. 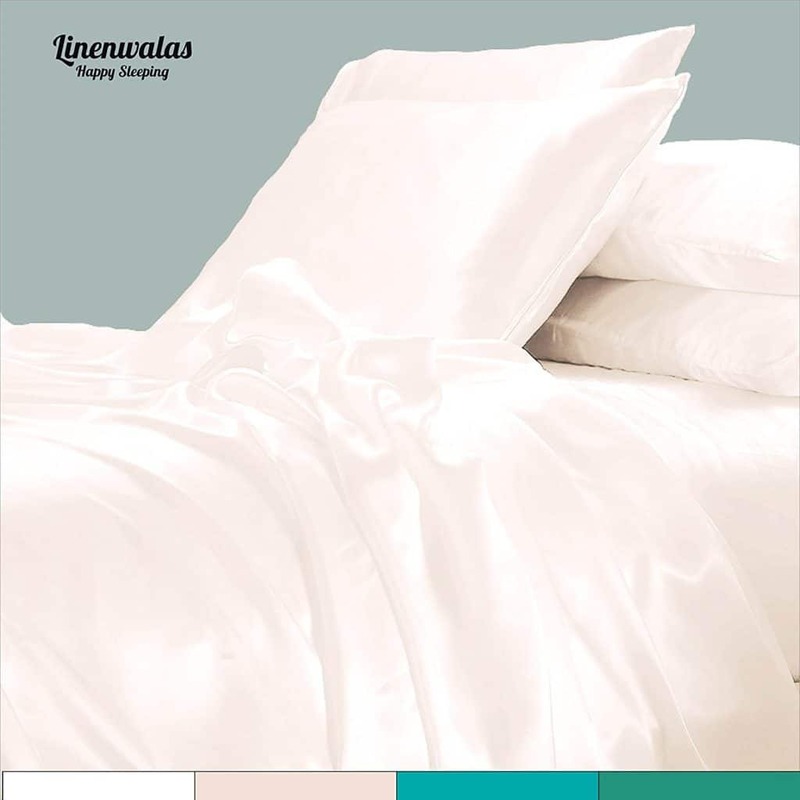 The four types of sheets that you can choose from when picking out the best bamboo sheets are rayon, linen, lyocell, and blended. Bamboo rayon is regenerated cellulose fiber. Often called bamboo viscose, it makes up the majority of bamboo fabrics and the best bamboo sheets on the market today. Most rayon viscose from bamboo is made using the viscose process. This involves dissolving the bamboo cellulose in a strong solvent. This creates a pulpy solution that's forced through a spinneret and into another solvent that solidifies the cellulose strands into the fibers. These will then be used to make the thread and ultimately the rayon. Some of the chemicals used in the process of rayon include chlorine bleach, sodium hydroxide, sulfuric acid and carbon disulfide. Due to this, the rayon tends to not retain much of the original bamboo. In fact, bamboo rayon sheets are required to be labeled as Rayon made from bamboo. In 2009, the FTC (Federal Trade Commission) found that rayon made from bamboo really does not retain any of the antimicrobial properties of the bamboo plant. In addition, it's manufacture is absolutely not eco-friendly as the process results in a lot of wastewater, along with harsh and toxic chemicals. Bamboo linen, also known as either natural bamboo or 100% bamboo, is manufactured in the same way as is used to make linen from flax or hemp. The woody parts of the bamboo are crushed, and natural enzymes are added to break down the bamboo and turn it into a big mound of mush. The fibers are then picked out mechanically, rather than chemically. These fabrics are 100% eco-friendly as they do not involve any toxic chemicals being used. The only byproduct there would be is carbon dioxide from the running of the machines. Bamboo lyocell is made roughly in the same way as rayon,but using fewer toxic chemicals. These chemicals include hydrogen peroxide and a type of weak alkaline known as amine oxide. Lyocell is manufactured in a closed-loop process. This means that the chemicals used are continuously recycled back into the process, keeping them out of the environment. It also requires less water to manufacture. Lyocell also tends to retain more of the beneficial properties of bamboo than rayon does, but it does not retain as much as Bamboo linen. Lastly, we have bamboo blends. These are bamboo that is blended with other fabrics like cotton, polyester, and microfiber. While the bamboo blends are typically stronger and softer than other bamboo fabrics, they usually use bamboo rayon as the base for the blend, which makes them definitely not eco-friendly. Since not many people are educated on bamboo bed sheets, it might be easy to get confused about what to look for when shopping for the best bamboo sheets. It is more than just the softness of the product. For those who care about the environment, choosing the type of bamboo sheets is also important. Of course,there is a lot more to take into consideration as well. Some things may include if they can be cleaned in a washing machine, if they will shrink, how big they are, and a lot more. Picking the best bamboo sheets is important, not to mention the best sheets in general. So here are some things for you to consider when trying to find the best bamboo sheets for you. This is important for those who care about what kind of bamboo bedding they are getting. Many manufacturers will claim that their bamboo viscose has the same benefits as 100% bamboo sheets, but that is a straightforward lie. The chemical processing basically strips the bamboo of all of its benefits. Other labels you may see are "100% Viscose from Bamboo" or "Rayon from Bamboo", "100% Bamboo", and plenty more. Basically,anything with a "100%" label you will want to pay attention to. This, at the least, means that it is not a blended fabric. However, not all "100%" labels are equal. For example, "100% Viscose" is absolutely not as good as "100% Bamboo". The latter means that it is far more eco-friendly because of a different manufacturing process. How a fabric is woven alters the way it feels. Just like with cotton sheets, bamboo thread can be woven into different styles that will make it softer or not. If you are going for bedding with the most softness, you will need to pay attention to how the sheets are woven. Two of the most common weaves are the twill sheets and sateen sheets. 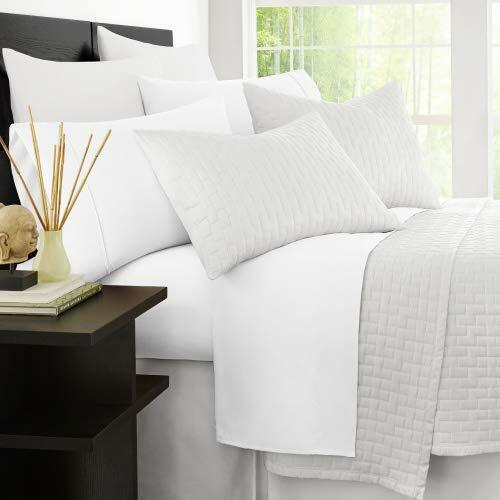 While twill sheets are the most durable, sateen sheets will have the most softness and the most luxurious texture. Knowing how to care for your bedding is very important. Accidentally machine washing something extremely delicate can result in that piece being ruined completely. Surely, you will want to keep your best bamboo sheets in great condition for a long time, so keeping an eye on the care level of your sheets will be important in maintaining them after you buy them. The care level can differ in terms of the type of bamboo sheets you get. Most bamboo bedding will suggest a mild soap and gentle cold/warm cycle in the washing machine. However, you can damage your sheets if you dry them on a high heat. Some of the higher end, better quality sheets will require hand washing and air drying. Bamboo sheets can be pretty expensive. So before you invest your money in a set of low-quality bedding, it is best to look out for any certification that shows that the brand is reputable and reliable. One of these certifications is the OEKO-TEX Standard 100, which is a certification system for raw, semi-finished, and finished textile products at all processing levels. The price of anything can be the difference between a sale and a hard pass. With bamboo sheets, they tend to be pretty pricey, some can even get to be $200. However, if you can find them on sale, you are in great luck. But there is more behind the price than you may think. Typically, the cheaper the sheets are, the lower the quality will be, as goes for most things. So the best thing to look for is a mid-range price and look at the labels. With each different type of bamboo sheet, there are things that are good about them, and stuff that is bad. The best thing to do with searching for the best bamboo sheets is to find a middle ground. If you do not care specifically about some of the cons, that works too. Nevertheless, here are the pros and cons of each of the 4 bamboo sheets. 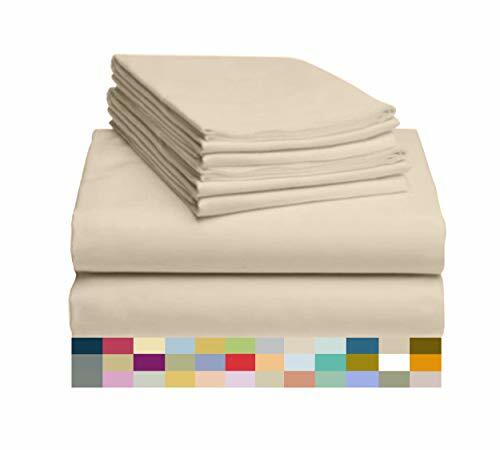 Bamboo rayon makes up most of the bamboo sheets that are on the market. This is because the production process is the cheapest, and the rayon can be blended with any of the other fabric types. While Bamboo rayon sheets are super soft and silky smooth, due to the chemical process it is definitely not highly non-eco-friendly. Not only that, but bamboo rayon also results in a lot of water waste from the manufacturing process. In addition, the chemical processing results in the rayon retaining none of the beneficial properties the bamboo originally had. Process uses toxic chemicals, results in a lot of waste water, and the final product does not retain any bamboo benefits. Bamboo linen is the most green and eco-friendly choice out of the 4 available. Due to the mechanical process and the use of natural enzymes, the sheets are able to retain much more of the antibacterial properties from the bamboo plant. There is also little wastewater and no toxic chemicals released into the environment after the processing is complete. Unfortunately, this also makes the manufacturing rather expensive, which results in not many Bamboo linen sheets being made. Ones that you can find will most likely be very expensive as well. Also, the Bamboo linen is not as soft as bamboo rayon, and in some cases does not even rival the softness of cotton. It also tends to wrinkle very easily. But seeing as you'll be sleeping in the sheets, wrinkles shouldn't matter much, unless you are someone who wants their room to look perfect in case someone happens upon it. Bamboo Lyocell is a bit better than Rayon because it is made using far fewer toxic chemicals like Hydrogen Peroxide. Unfortunately, this also means that they are also more expensive than rayon. However, they tend to be softer than the linen version and more durable than both. They are also the most eco-friendly choice out of all of them and retain the most benefits from the original bamboo plant. But they are the most elusive type of bamboo sheets as well, which makes it annoying when trying to find them. If you do find them, especially on sale—which would be like finding a shiny Lapras in Pokemon Go—buy it immediately. Retains more of the original benefits. Bamboo blends are the least eco-friendly, but also the most durable. These are bamboo threads that are combined with other fabrics like cotton, polyester, or flannel. Most of the blends are made using bamboo rayon, which is partly why they are not eco-friendly, but also because the processing for the other material is not eco-friendly either. When you are looking for the best bamboo sheets, there are some features that need to be included for them to be worth your money. Typically, if they do not have these features, they are a far less quality brand and is not worth your time. Comfortable. If bed sheets are not comfortable, then what is the point? Antibacterial and Hypoallergenic. To avoid any bad situations when trying to sleep. Ease of care. Something that requires a lot of upkeep, especially with bed sheets, will get annoying over time. Bamboo sheets are truly incredible. Their benefits are many with not many drawbacks to speak of, except for the fact that they are expensive. The biggest thing to look for when picking the best bamboo sheets is the type of sheets they are. Some are definitely going to be more eco-friendly than others. Try to find the best of both worlds, and you are set. For any other information, including how to stay green in today's world, head on back to Green and Growing.